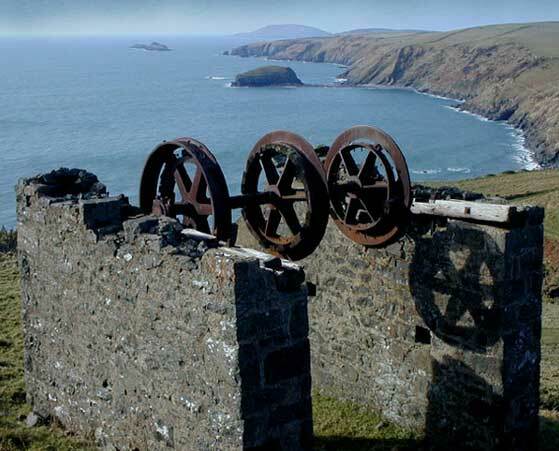 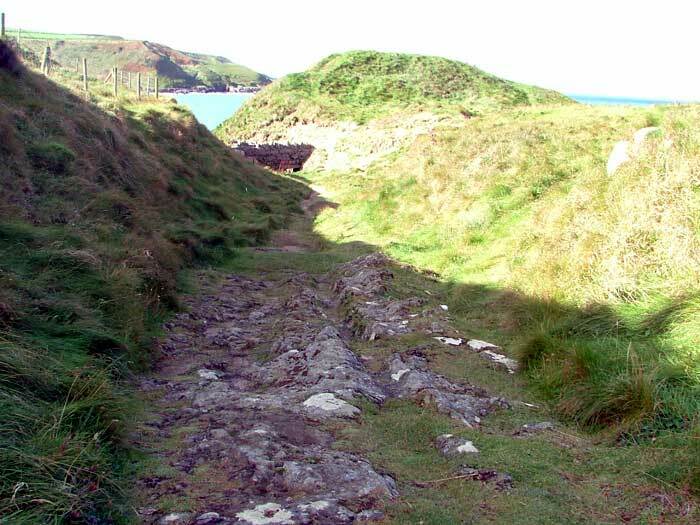 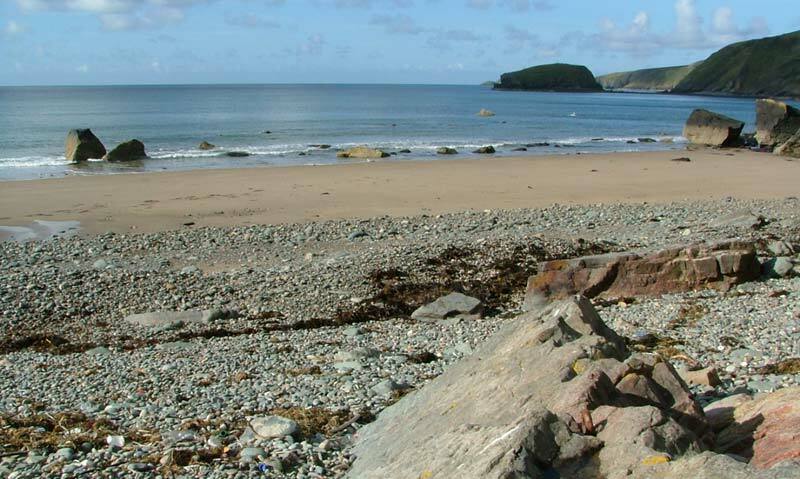 In the 18th and 19th century the coastal trade was at its peak here in Llyn. 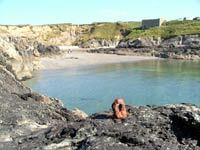 Today it’s difficult to imagine that our little coves and beaches were such industrious places. But take a closer look and you will find relics of this bygone age and evidence that the little ships did call with their imports of coal and lime as well other goods needed to sustain the communities here. 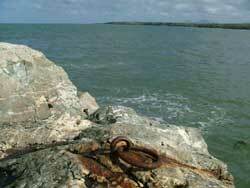 And of course to export produce from the farming and fishing industries. 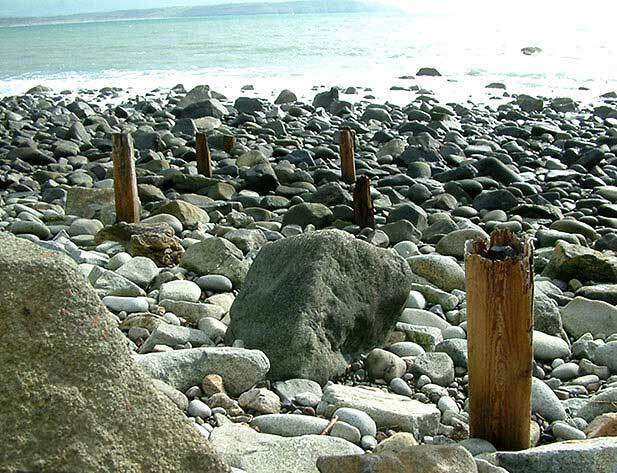 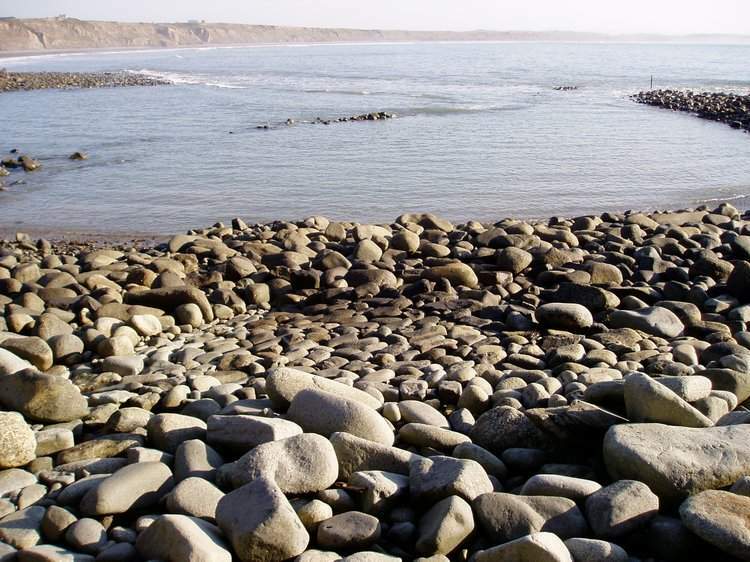 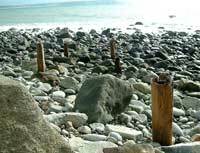 We’ve gathered together a small collection of the relics found around the coast, and no doubt we will be adding to this page as and when we come across more evidence. 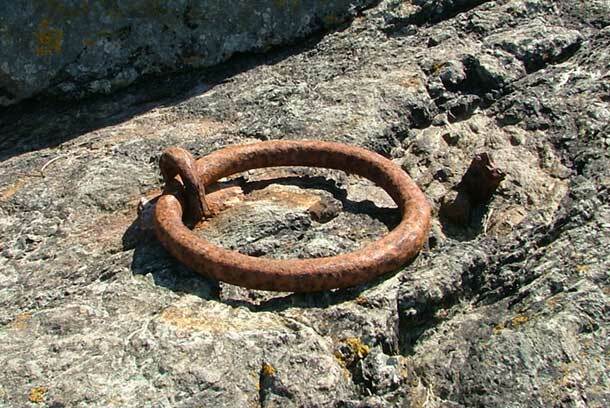 If you know of any such relics please let us know, or better still e.mail us a photo so we can add it to the collection. 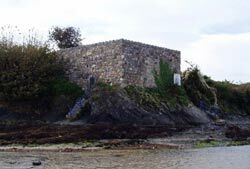 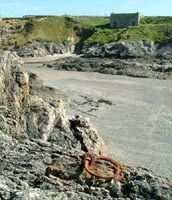 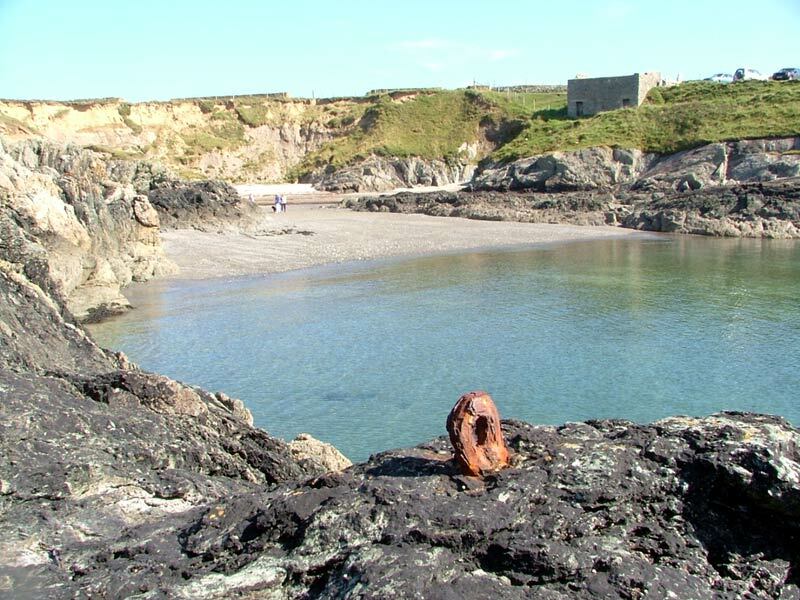 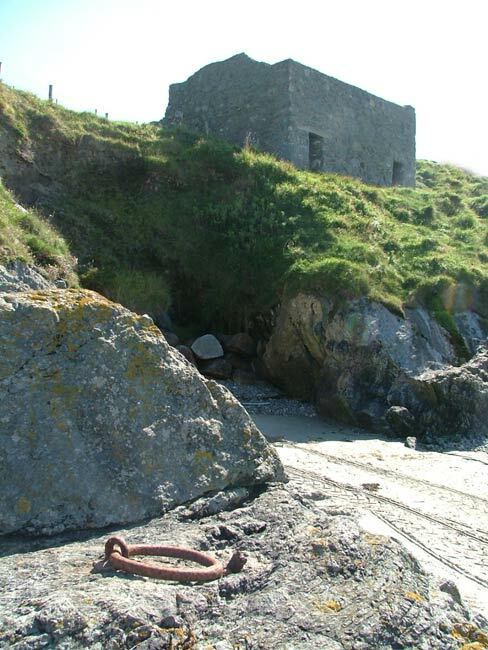 "Lime kiln and ring at Porthsgaden"
In the Rhuol photograph you can see the slipway where the ships were built. 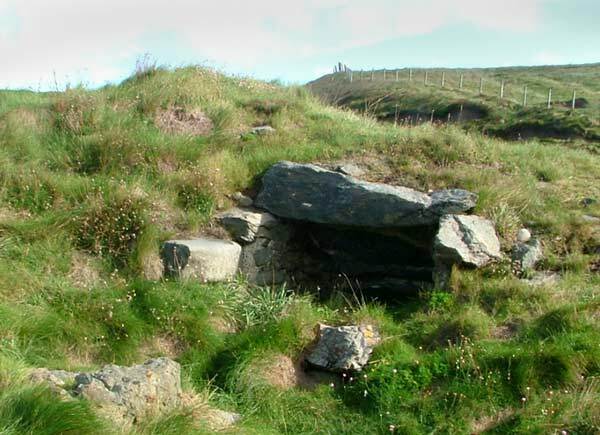 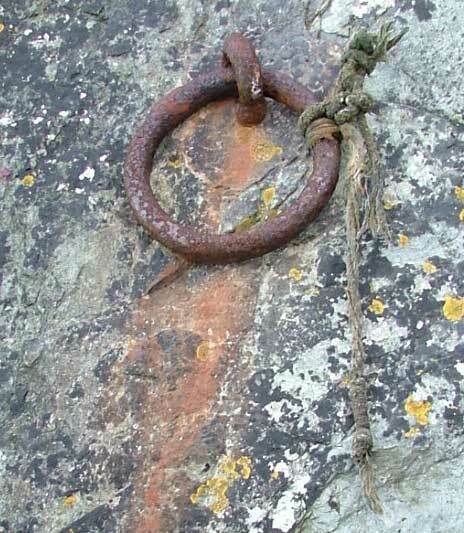 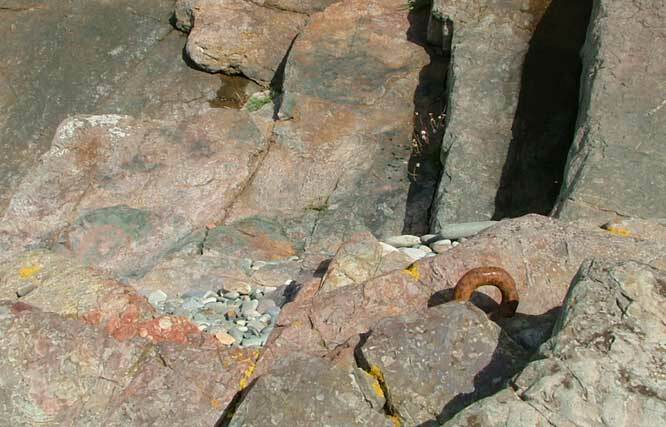 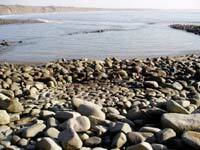 And the Porthor one, shows the wear in the rock after many centuries of use by horse and cart.